Neuroscientists in Toronto have shown that crowdsourcing brain research to hundreds of participants in a short period of time could be a new frontier in neuroscience and lead to new insights about the brain. Dr. Natasha Kovacevic of Baycrest Health Sciences’ Rotman Research Institute is the lead author of a scientific paper on the crowdsourcing experiment – “My Virtual Dream: Collective Neurofeedback in an Immersive Art Environment” – published online today in the journal PLOS ONE. The researchers used the Muse wireless electroencephalography (EEG) headband to collect brain data from more than 500 adults at a major arts event in Toronto. Baycrest, in collaboration with the University of Toronto and industry partners, created a large-scale art/science installation called My Virtual Dream, which housed the experiment. Festival-goers wore the Muse headband and participated in a brief collective neurofeedback experience in groups of 20 inside a 60-foot geodesic dome. A total of 523 adults (209 males, 314 females), ranging in age from 18 to 89, contributed their EEG brain data for the study. The participants played a collective neurofeedback game where they were required to manipulate their mental states of relaxation and concentration. The neurofeedback training lasted 6.5 minutes, which is much shorter than typical neurofeedback training experiments. The group’s collective EEG signals were used to control lighting and imagery inside the exhibit. 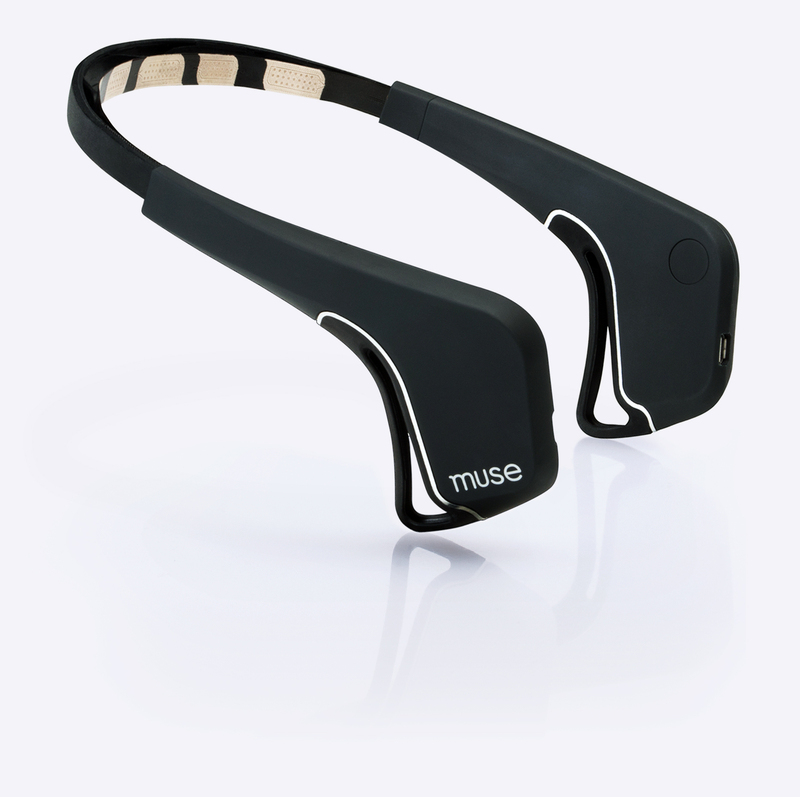 Muse is a clinical grade, smartphone-linked, EEG headband that helps individuals learn meditation, improve their attention, and manage stress by providing direct, real-time insights into their brains. It is used by researchers and clinicians in universities and hospitals around the world. Studying the human brain in a social and multi-sensory environment is closer to real life and may help scientists to approach questions of complex real-life cognition in ways not previously possible. The massive amount of EEG data collected in one night yielded an interesting and statistically relevant finding: that subtle brain activity changes were taking place within approximately one minute of starting the neurofeedback learning exercise; an unprecedented speed of neural learning, adaptation, and control that has not been demonstrated before. “These results really open up a whole new domain of neuroscience study that actively engages the public to advance our understanding of the brain,” said Dr. Randy McIntosh, Director of the Rotman Research Institute, Vice-president of Research at Baycrest, and senior author on the paper. At InteraXon, we develop engaging experiences using brainwave-sensing technology that frees you from physical, emotional and mental obstacles so you get more out of every moment. Our mission is to enable you to live a happier, healthier and more connected life with leading brainwave technologies and experiences.